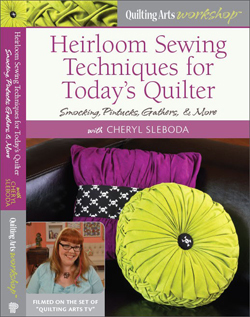 Amazing what a day off will do… – Cheryl Sleboda – Textiles. Technology. Texture. Teacher. Whoa! 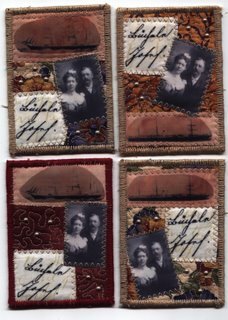 Got 4 ATCs done for a swap, started a pin weaving sample, will work on a poncho later today. May finish the last of the circle projects tomorrow, since I have that day off too. 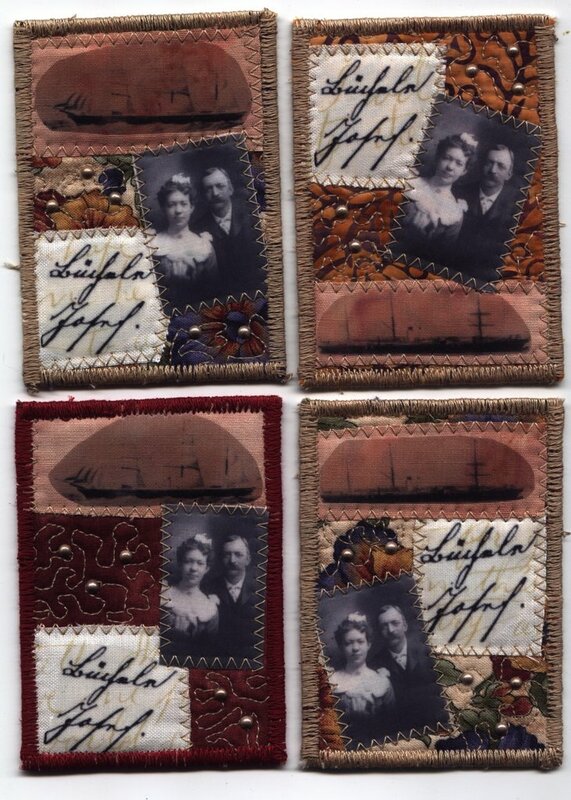 These ATCs are for a “Show us your Gene’s” swap. Now, take two hobbies you like and put them together and you get these. I thought they came out “scrapbook style”. Got one ATC in the mail from Jan in ND. It’s awesome!!! I hope I get some more cool ones back from the Hello Kitty and Beaded swaps. The OK quilters have moved on to 6″ samples of “texture”. (thank goodness the circles are done) So cool!!! I should start that tomorrow, depending on the poncho.